Katherine Heiny's work does something magical: elevates the mundane so that it has the stakes of a mystery novel, gives women's interior lives the gravity they so richly deserve -- and makes you laugh along the way. 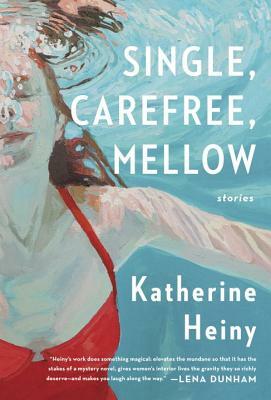 Single, Carefree, Mellow is that rare and wonderful thing: a debut that is superbly accomplished, endlessly entertaining, and laugh-out-loud funny. Maya is in love with both her boyfriend and her boss. Sadie's lover calls her as he drives to meet his wife at marriage counseling. Gwen pines for her roommate, a man who will hold her hand but then tells her that her palm is sweaty. And Sasha agrees to have a drink with her married lover's wife and then immediately regrets it. These are the women of Single, Carefree, Mellow, and in these eleven sublime stories they are grappling with unwelcome houseguests, disastrous birthday parties, needy but loyal friends, and all manner of love, secrets, and betrayal. In Cranberry Relish Josie's ex a man she met on Facebook has a new girlfriend he found on Twitter. In Blue Heron Bridge Nina is more worried that the Presbyterian minister living in her garage will hear her kids swearing than about his finding out that she's sleeping with her running partner. And in The Rhett Butlers a teenager loses her virginity to her history teacher and then outgrows him. In snappy, glittering prose that is both utterly hilarious and achingly poignant, Katherine Heiny chronicles the ways in which we are unfaithful to each other, both willfully and unwittingly. Maya, who appears in the title story and again in various states of love, forms the spine of this linked collection, and shows us through her moments of pleasure, loss, deceit, and kindness just how fickle the human heart can be. Katherine Heiny's fiction has been published inThe New Yorker, Ploughshares, Narrative, Glimmer Train, and many other places. She lives in Washington, D.C., with her husband and children. This is her first book."